Cliques. Hierarchies. Alignments. Can’t live with ‘em, can’t do business without ‘em. But what if you really, really, really don’t like dealing with office politics? Researchers Marian N. Ruderman and Patricia J. Ohlott recently discovered that many female managers feel that engaging in political behavior is difficult and painful. Some even viewed it as “evil”. Evil may be a rather strong word, but my experience has been that most women find it hard to see how navigating office politics can be anything other than a negative experience. Not only is it unpleasant, but office politics can be a hard task to master. So we’ve established that if you don’t exactly jump out of bed every morning, excited to go to work and play the game of office politics, you aren’t alone. But at the same time, you can’t afford to ignore it. 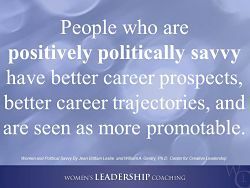 Research by the Center for Creative Leadership showed that those who are politically savvy have better career prospects, better career trajectories, and are seen as more promotable. They are also less likely to succumb to career- limiting derailment. So what can be done to make office politics more palatable and easier to navigate? The answer: build the skill of being positively politically savvy. In other words, build your influencing and networking skills, and do it with sincerity – and positivity – to succeed. While you’re doing that, pay attention to the social dynamics that surround you at work, and you’ll build positive skills for navigating office politics, and as a bonus – become more promotable. And that’s not evil at all, is it?! •Ruderman, M.N. and Ohlott, P.J. (2002). Standing at the Crossroads: Next Steps for High-Achieving Women. San Francisco: Jossey-Bass. and William A. Gentry, Ph.D. Center for Creative Leadership. October 2012. •Political Skill at Work: Impact on Work Effectiveness by Gerald R. Ferris, Sherry L. Davidson, Pamela L. Perrewt. CEO of Women’s Leadership Coaching, Inc., Jo Miller is creator of the Women’s Leadership Coaching® system, a roadmap for women who want to break into leadership positions in business. 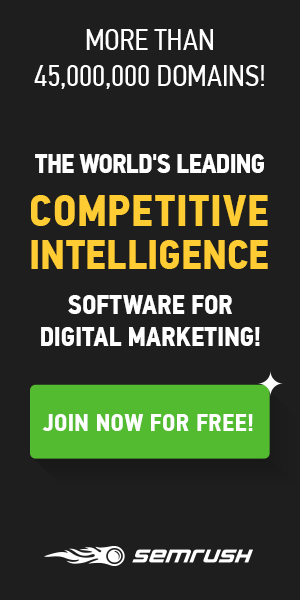 Next articleAre You On Fire… Or Just Burned Out?